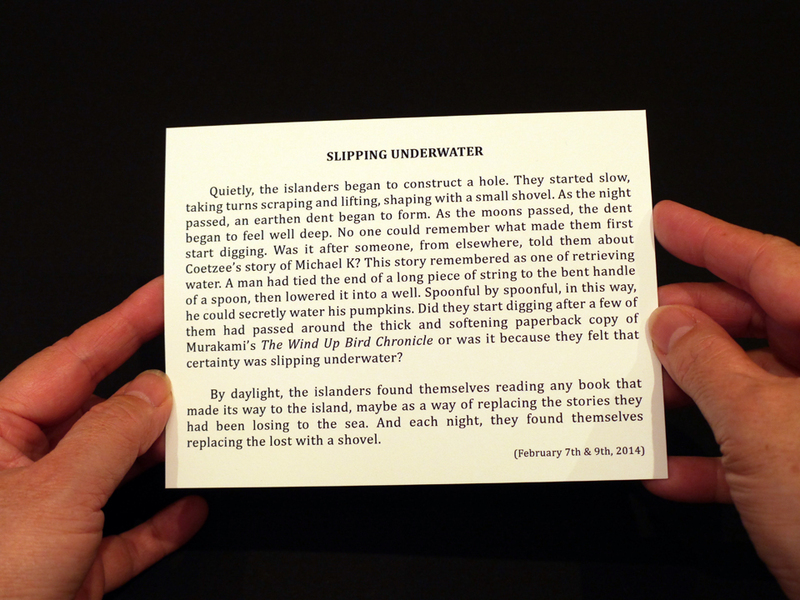 SLIPPING UNDERWATER is another wings walking water postcard short story. In this story, there’s a reference made to the paperback version of Life & Times of Michael K by J.M. Coetzee (which was published in 1985 by Viking Penguin Inc.) and to the paperback version of The Wind-Up Bird Chronicle by Haruki Murakami (which was published by Vintage in 1998).